The mission of Pink Oatmeal is to make physical activity and motor planning for kids fun and easy. One of the ways that is done is through the downloadable resources available in the shop. Now it’s being expanded to include the option to have an all access pass to all of the resources in the Pink Oatmeal shop! Pink Oatmeal is dedicated to making this mission easier for parents, therapists, and teachers! 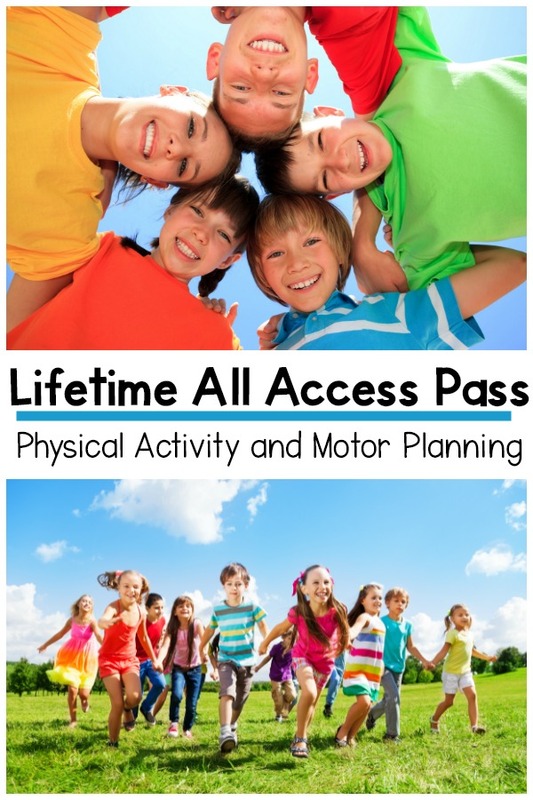 Are you tired of scouring the internet trying to find motor planning activities and physical activity ideas for kids? Are you tired of having to depend on screens for all of your movement activities? Are you having a difficult time trying to find FUN ways to incorporate movement and appropriate motor activities into your lessons? Do you have kids that need to get some energy out? 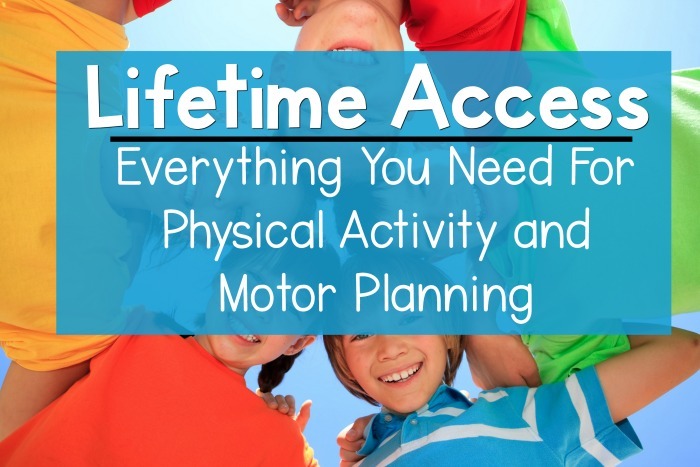 Would you love more time with your family and friends and less time trying to come up with all of these ideas or creating your own resources for motor activities? If you answered yes to any of these, Pink Oatmeal’s All Access Memberships are exactly what you are looking for! 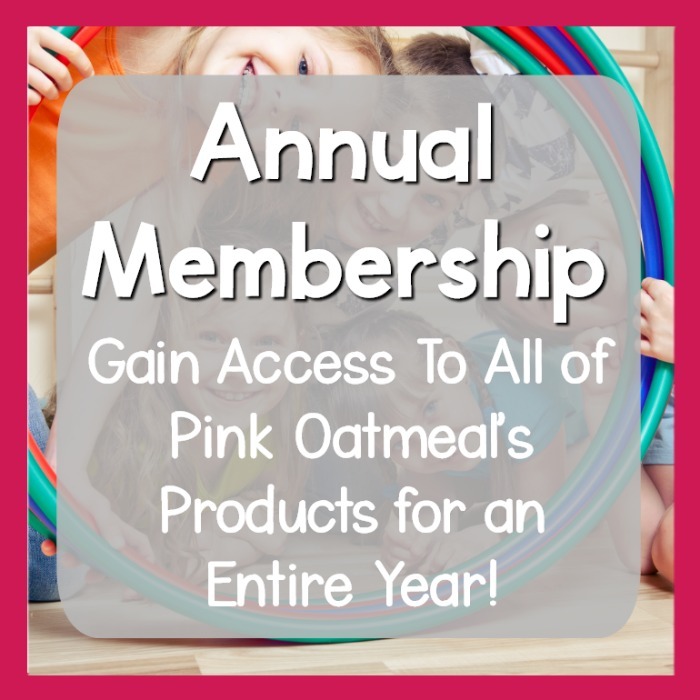 There are two membership options available for accessing everything that Pink Oatmeal has to offer and more! When you sign- up to be a member your all access pass will include everything in the Pink Oatmeal shop, members only extras, a members only video library and planning calendar ideas. The annual membership grants you access to everything for 1 year. Your membership grants you access to ALL of Pink Oatmeal’s downloadable and digital resources plus all newly added resources for a year. Access to a video library for members, members only products, and themed motor planning ideas. Everything you need to make gross motor, fine motor, and physical activity easy and fun! There are no need to worry about renewals as your membership will end after one calendar year. Want to know what is even better than having all of this? How about the option to have Lifetime Access for only a small cost more? Yes! 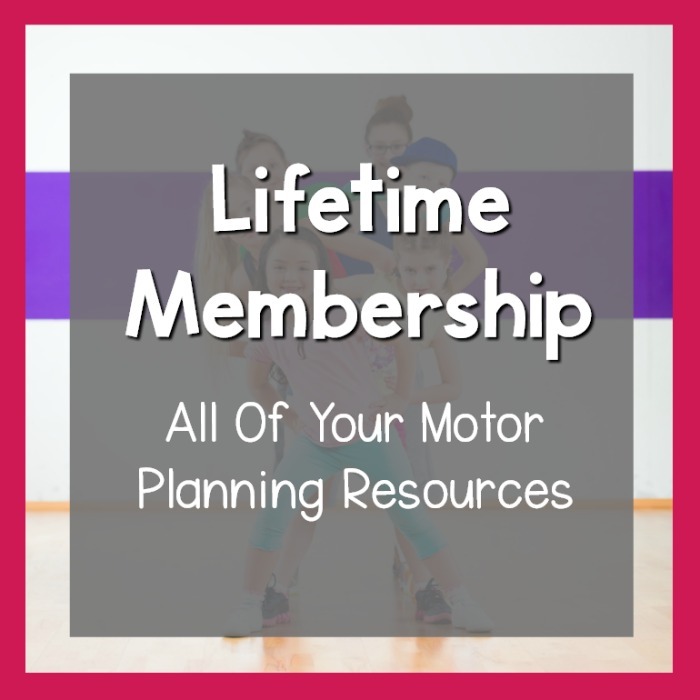 That’s right, you can get lifetime access to all of Pink Oatmeal’s resources and newly added resources on top of your other membership benefits with Pink Oatmeal’s Lifetime Membership. If you never want to worry about having something fun for your physical activity and motor planning needs you are in the right place. If you never want to worry about memberships renewing or not having access to materials exactly when you need them, this is for you. If you are like me and get serious fear of missing out when something good is available, you won’t ever miss your opportunity with a Lifetime Membership. Now is your chance to get in on this opportunity from Pink Oatmeal and get your Lifetime Membership!